You've seen plenty of movies and TV shows where a person hyperventilates and is given a paper bag to breathe into. Can wood pulp actually help with hyperventilation? And why do so many doctors want the practice to stop? The paper bag as a medical device features in everything from old Looney Toons cartoons to big budget movies (albeit mostly romantic comedies). Why are people who start hyperventilating given someone's lunch bag to breathe into? That won't give them the oxygen they need. And the people do need oxygen. There isn't enough of it getting to their tissues. Unfortunately, hyperventilation isn't going to help. Breathing with too much rapidity is one of those unfortunate responses that seems to short-circuit the body's survival instincts. A person who is hyperventilating has plenty of oxygen in their blood, but it isn't making it to where it needs to go. Blood doesn't just carry oxygen, it carries carbon dioxide, and it needs to carry carbon dioxide. The body responds to the amount of carbon dioxide in the blood. Too little carbon dioxide causes two things to happen. First, there is vasoconstriction, the narrowing of the blood vessels, which chokes off a blood supply to the extremities of the body. Secondly, there is the matter of blood pH. As it carbon dioxide levels go up, the pH of blood goes down towards the acid end of the pH scale. This stimulates the hemoglobin to release oxygen into the tissues. As carbon dioxide levels go down - as they do when the person hyperventilates - blood pH heads up towards the base end of the scale. This causes the hemoglobin to hang on to its oxygen. So even when blood gets through constricted vessels, it can't deliver as much oxygen to tissues. The person feels like they're smothering, which they are, and hyperventilates in an attempt to get more oxygen. This decreases the carbon dioxide in their blood even more, and exacerbates the problem. The best way to stop it is to shove a barrier between the sufferer and the open air. By forcing them to rebreathe their exhaled carbon dioxide, it's possible to increase carbon dioxide levels in their blood, and deliver more oxygen to tissues. 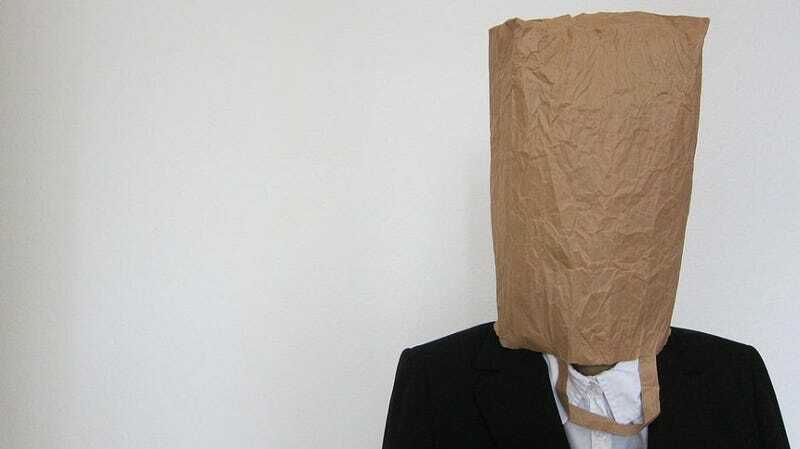 The paper bag, low-tech as it is, actually does help. Many doctors, however, are asking that people stop using it. It's not that it's ineffective in treating pure hyperventilation. The problem is, a lot of things trigger hyperventilation. While someone who is panicking can be helped by upping the level of carbon dioxide in their blood, someone who is having a heart attack, or an asthma attack, might be killed by an increase of carbon dioxide. Without knowing the exact cause of the hyperventilation, it can be dangerous to treat it. Perhaps it's better just to hyperventilate for a while — and call a doctor if it doesn't stop. Via The British Journal of Psychiatry, NY Times.